We are approaching the end of the alphabet for our letter of the week program. I can't believe it's been 26 weeks already and this week we will finally hit letter Z! As we are getting to the end I'm losing a bit of steam as these last few letters seem to be the trickiest, especially our friend X! But that's for another post! 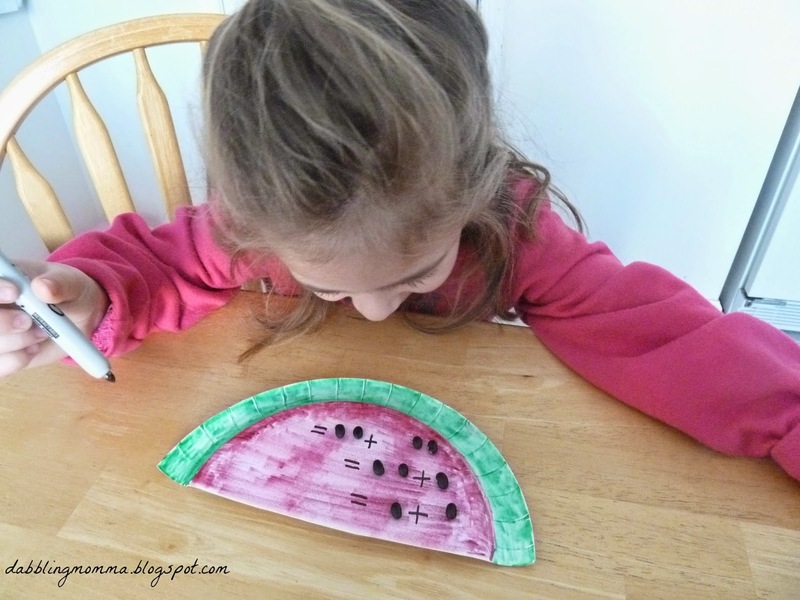 My daughter had fun making a watermelon craft turned simple math activity. 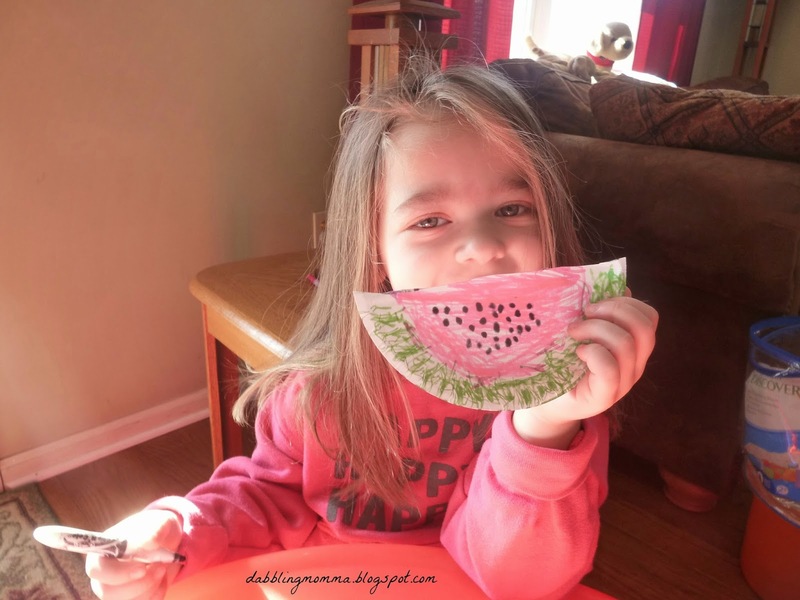 Simply cut a paper plate in half and let your child begin coloring it with the colors of a watermelon! 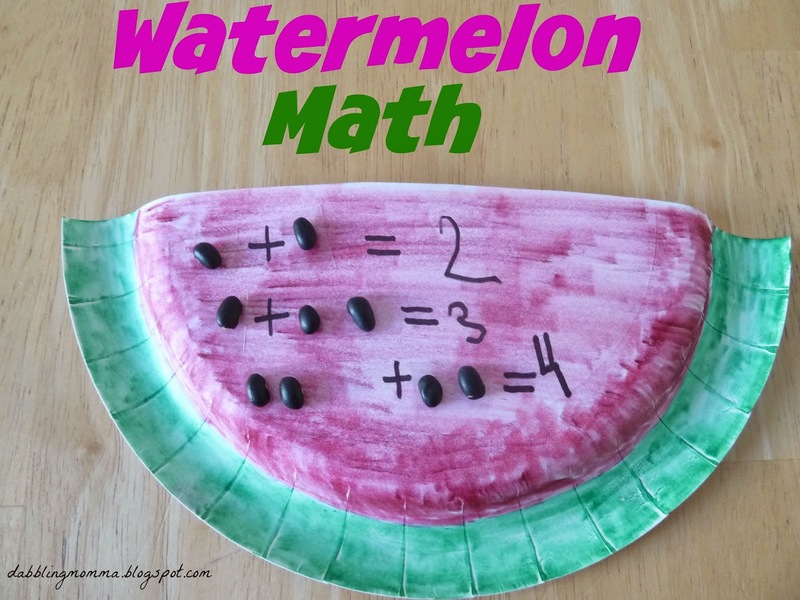 So easy but yet the watermelon turns out so cute! My daughter had a great big smile when she saw the 'watermelon seeds.' 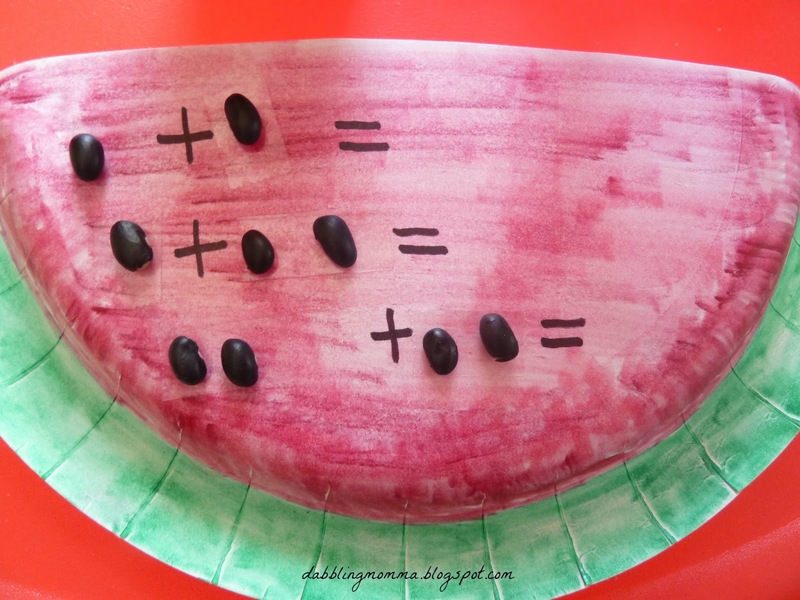 We have been doing simple addition and subtraction and I thought this watermelon would make adding a bit more fun! I love crafts and I love learning activities and in this case we got a 2 for 1! 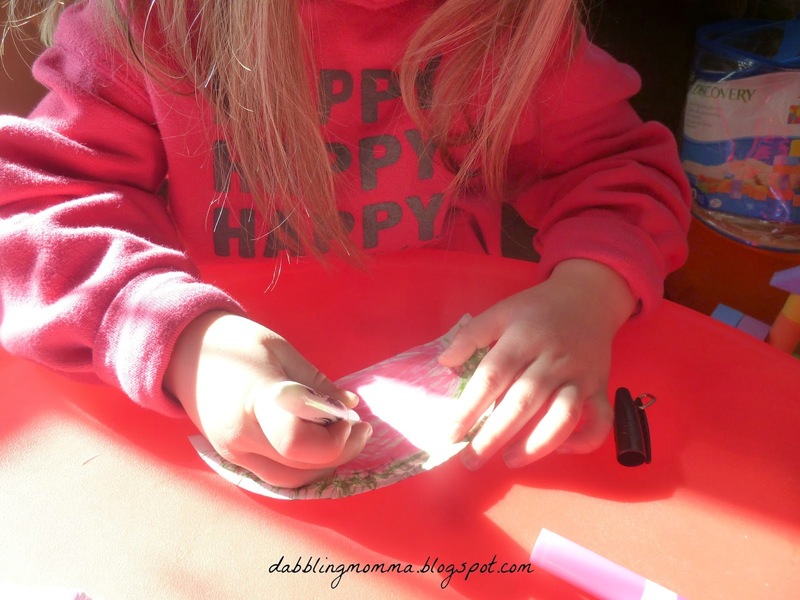 Craft and learning activity all in 1! You got me over here craving watermelon. Get ready watermelon season is upon us!! Thanks, Gude! We had alot of fun with it! I think I would enjoy this as much as my kids! Thanks for sharing this fun educational at Inspire Me Mondays! We both had fun making these! Thanks for stopping by. Love this! Makes me feel like summer is coming. :) Thanks for sharing with the Frugal Family linky! Thanks Laura! Summer IS coming, Mother Nature is just making us wait!! This looks like so much fun! Thanks for linking up at the Thoughtful Spot Weekly Blog Hop! We hope you join us again next week! Thanks Samantha! We had alot of fun with both the craft and the math activity! This is adorable! 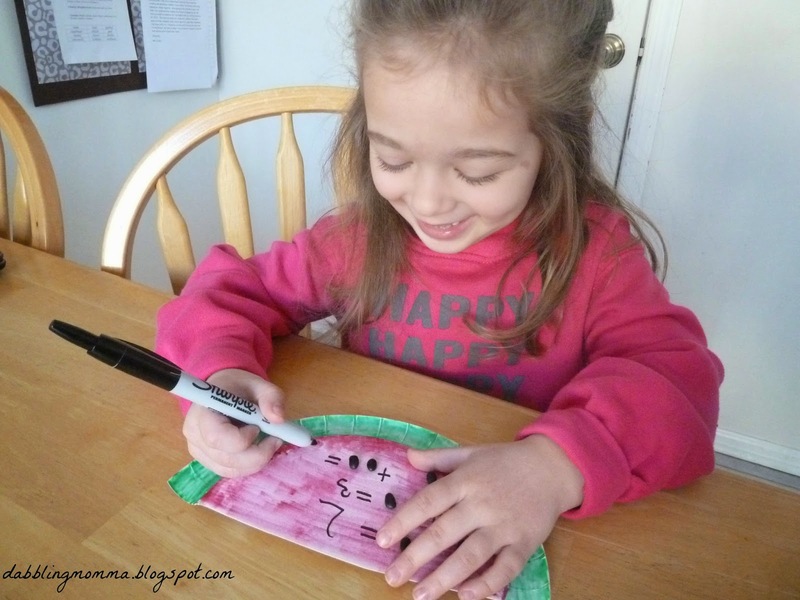 This is one of those activities I can guide Emma though (age 5) and the twins can work on the fine motor of gluing and simply creating (age 2)...Love this! Thanks for the idea! So glad all of your kids can take part in this activity, Leigh Ann!! 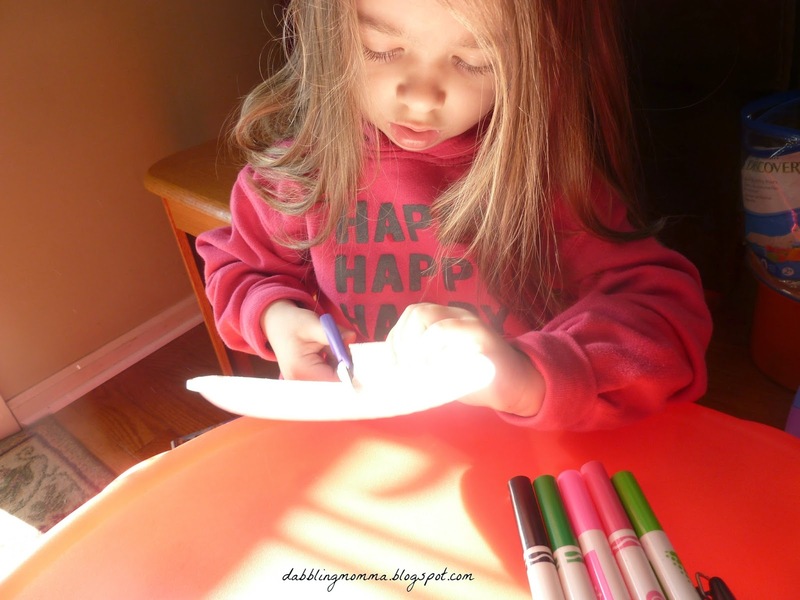 This is a fantastic way to combine an educational activity with a craft activity - love it! My son is a big fan of watermelons so this is something I will try with him. Thanks for linking up at the Tots and Toddlers Thursday Link Up Party, I hope to see you again tomorrow at this fortnight's party! Thanks, Kelly! I hope your son enjoys it as much as we did! Thanks for stopping by!